I know I just sent you an email last week but I also know that having good information ahead of the masses can have a beneficial impact on your business. A perfect example of this would be with my own business…three months ago my business partner Jeff and I pivoted the direction of our company based purely on our observations of the changing market and a response to our customers needs. We shifted from a “done for your Internet Marketing” product to a more strategic needs based consulting and coaching role for our clients and since the switch business has been booming. While we do still handle the nitty gritty side of SEO and Internet Marketing, with our enhanced strategic roles – our impact in our clients business can be far more impactful. You’re going to be fascinated when you find out that you can have accountability in your internet marketing no matter what tactics are being used to bring in traffic, leads and sales. Imagine what it would be like to have a partner who could act as an online coordinator to interpret reports, project manage, maintain accountability and help with subcontractor management. We reshaped our business by responded to the changing marketplace. But enough about me at the top here is some actionable information for your business. Google Panda Update (Changing the dynamics of search optimization completely. Google Panda – while I hinted at the newest Panda update last week – this video (recorded by one of the top experts in SEO from seomoz) outlines the industry wide shifts and the massive impact that Panda has had. If you are involved at all online take the ten minutes and watch this video right now.  It dispels some of the current technique and puts into perspective elements like site design, unique content and usability as part of the SEO conversation. https://www.seomoz.org/blog/how-googles-panda-update-changed-seo-best-practices-forever-whiteboard-friday Additionally did you know that Google has HUMANS reviewing sites and that human review plays a massive part in your ability to rank well in competitive industries. I’d like to show you how to take responsibility for your sites. It is more than just look and feel, functionality and content. If you don’t pay attention, Google is going to pass you by. Google+ as a response to Facebook and other external pressures Google has released their own social network called Google+ https://plus.google.com Currently the site is in invitation only mode but as an early adopter I have a preview account and I must say – google+ is pretty cool. While there is no active advertising but I am sure that this is coming down the pipe. This may not be relevant to you, but here is a perfect opportunity to start developing a plan to market on Google+. The sooner you understand this new social momentum the sooner you will be able to benefit from using it. 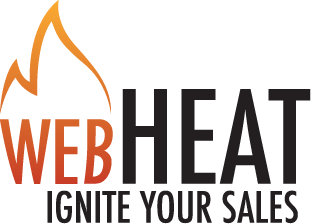 Space is limited right now – BUT if you are interested in a google+ invitation head to my site at https://www.webheat.com fill in the contact form and be SURE to include your email address. And I promise that as more invitations get freed up I will add you to my list. Don’t reply to this email, go to the site and fill out the form. I hope that you found this informative and helpful. Remember watch the Panda video and see how it impacts YOUR CURRENT STRATEGY.